Is there an expansion board that plugs into Due and allows a large display to be attached to it? The idea is to have the expansion board be sandwiched between the Due and the display. 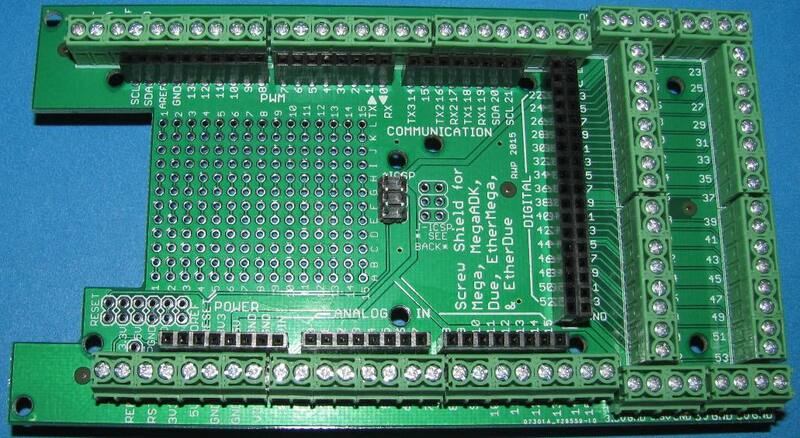 This would most likely require all of the pins to be duplicated on the outer portion of the expansion board. (The ones I have seen are in the inner portion of the board which makes for very cramped quarters.) The idea is to use one main platform (Due) to run *all* of our projects and yet still have the display for sensor feedback, etc. An expansion board like this one ? Yes, that looks like a good solution. I sent an email to robert@crossroadsfencing.com about http://www.crossroadsfencing.com/BobuinoRev17/MegaScrewSpring2015.jpg ; it does not appear as though it can be bought on his website. Thanks again for your help. Don.